Looking for LPG gas suppliers who are happy to provide accountability for their service? 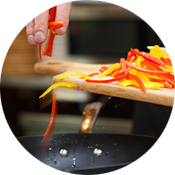 Here at Rockgas North we are able to meet all of your business LPG requirements, from dependable, high quality forklift gas supply right through to commercial cooking and heating requirements. We are able to individually tailor-make plans to meet your unique business gas requirements. We are the experts in our field, and we make it our job to cover the important details so that you can relax. 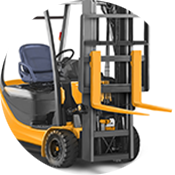 We are able to provide a dependable and efficient source of LPG for your forklift requirements, with our business team on hand to handle any urgent needs as they arise. You will find our service friendly and professional, with an emphasis on Health & Safety requirements and best practice operations. We have a robust commercial and business team, with commercial accounts available to make each transaction as simple and efficient as possible. When using large volumes of LPG in a commercial setting, it pays to be aware of your Health and Safety legislative requirements, as well as your compliance for business insurance purposes. Here at Rockgas North we pride ourselves on our commitment to excellence in each of these fields, providing first class service across a range of high-volume commercial industries. We ensure your gas supply remains consistent, and we ensure your commercial account remains transparent and easy to access. We truly enjoy the business relationships we create in our environment, and we work hard to offer a service that is second to none! Rockgas North are well placed to offer a continuous supply of LPG for all large-volume commercial and non-commercial users. 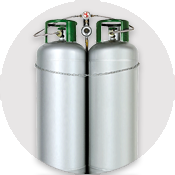 We understand the unique requirements and legislative needs that surround high-volume LPG use and storage, and we are able to offer advice on every aspect of high-end use from location test certificates through to compliance documentation for business insurance purposes. We’re local, we’re available, but most of all we’re always happy to help. Team up your business power and gas accounts with Contact Energy and Contact Rockgas, and save! Our Business DualFuel Plan is designed to save you effort, time and money. We tailor-make our commercial DualFuel offers to suit your unique business needs. Contact us for more information on how we can save you money today! Fill out your details and we’ll get back to you with our latest specials.